A public consultation into the planned third runway at Heathrow Airport has been reopened to include new evidence. The Department for Transport (DfT) published a series of new reports on the environmental impact of expanding the west London airport. It also revealed that London's airports are expected to hit full capacity by 2034 if there is no expansion. The consultation initially closed in May, but will now be reopened until December. The DfT insisted it is "on track" to publish final proposals for expansion in the first half of 2018, ahead of a vote in Parliament. Among the series of new reports are an updated noise analysis and a new air quality plan. The government said higher demand for flights also meant the capital's five airports would hit full capacity six years sooner than expected. If the scheme is approved by MPs, Heathrow will submit a planning application and consult with local communities on detailed proposals. The airport hopes to begin construction of the new runway in early 2021, with it being completed by the end of 2025. Cait Hewitt, deputy director of campaign group the Aviation Environment Federation, claimed the "scale of this re-consultation" shows that the government's case for Heathrow expansion is "unconvincing". The DfT's estimate about capacity will help to fuel calls for expansion at other airports in the South East, especially at Gatwick which has restated its pledge to build a second runway. 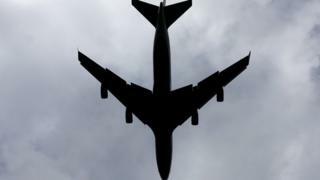 "It is clear that demand for further airport capacity in the South East continues to grow," a spokesperson for Gatwick said. "That's why we have today reiterated our pledge to government to build a second runway at Gatwick regardless of what happens at Heathrow."